It made me so sad. But that’s the very reason countless people raise money for research and take time out for causes like Susan G. Komen Race for the Cure. Some wonder why a fundraiser wouldn’t just raise funds instead of spending money on a labor-intensive 5K walk. 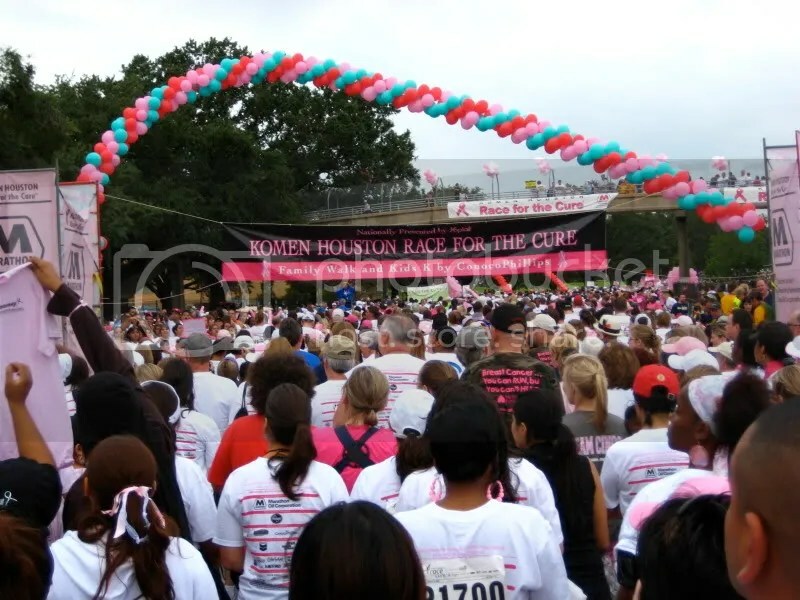 But there were so many stories walking around downtown Houston on Oct. 3, the big day of Race for the Cure in Houston. So many people’s memories of their loved ones were kept alive and truly understood that day. 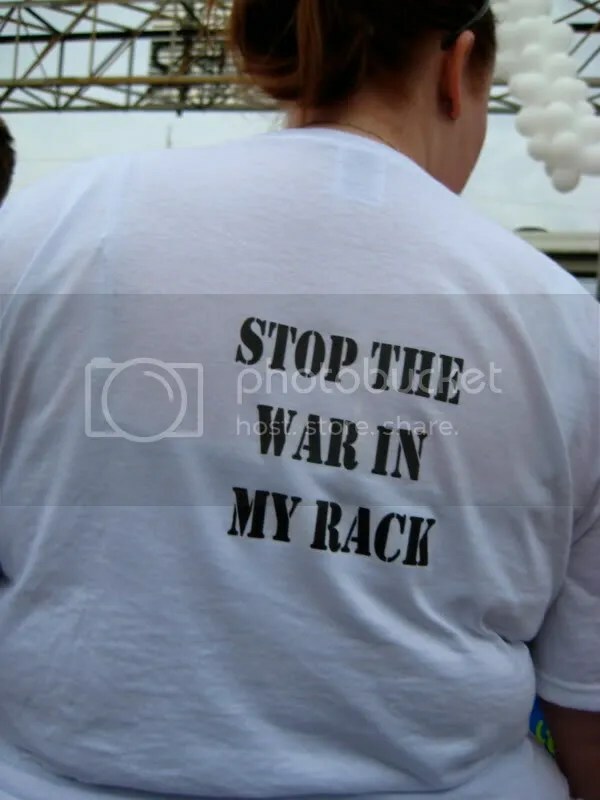 Clever slogans peppered T-shirts among the crowd of more than 30,000. The race/walk began with announcers peering into the crowd and calling out the names of loved ones being honored. All along the way, volunteer cheerleaders were stationed, screaming and encouraging the crowd to keep its momentum. 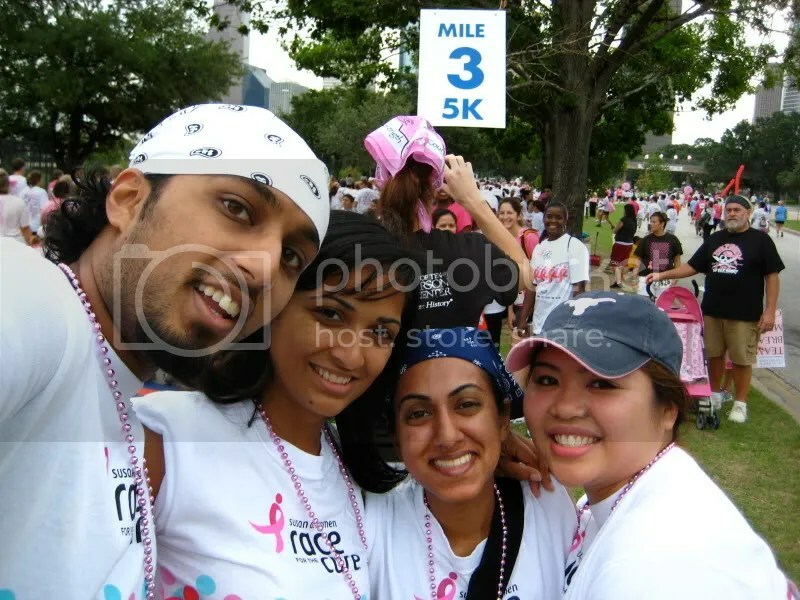 Just before the finish line, Sajan and I ran into my cousin Janie and her friend Mary Ann. 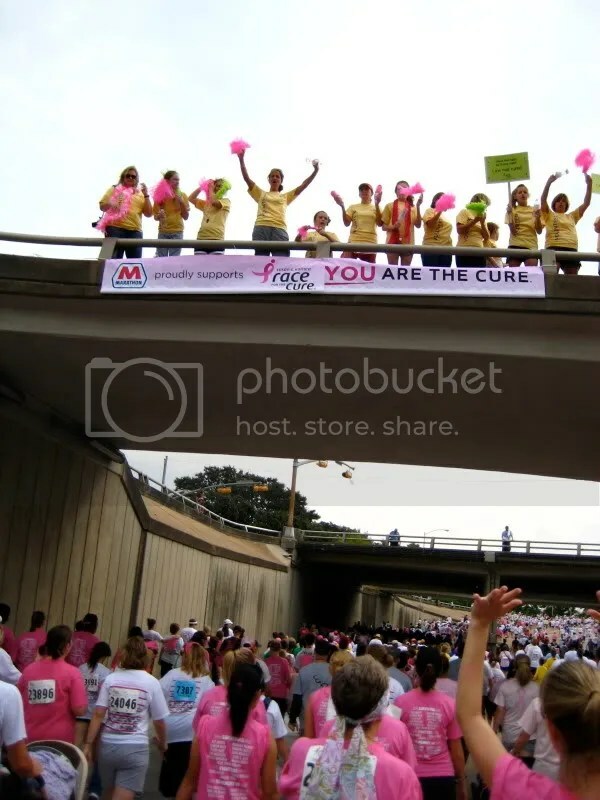 We are very thankful to those who graciously donated to our group to support Susan G. Komen Race for the Cure!!! Thank you thank you thank you!! Gifts contribute to research, education, screening and treatment of breast cancer. There’s still time if you want to give. This entry was posted in Brilliant Ideas, houston. Bookmark the permalink. 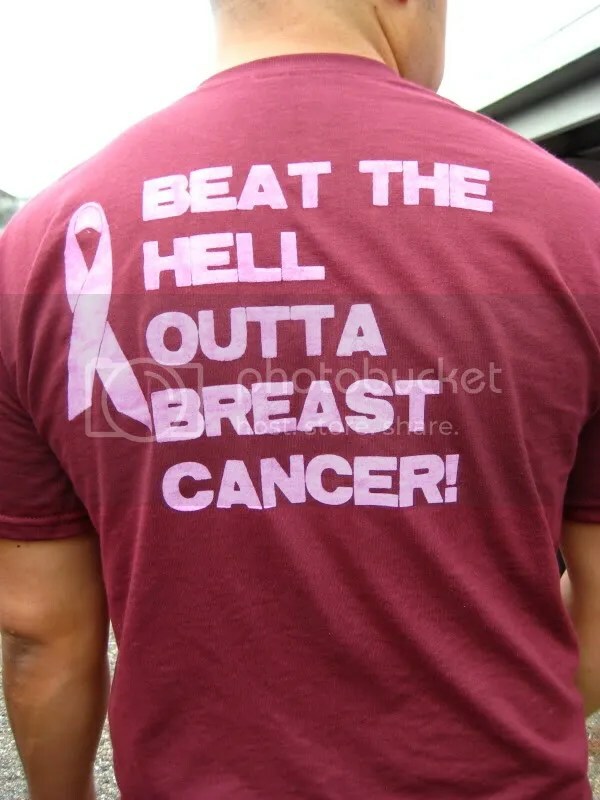 I have a dear friend who battled breast cancer and survived. I should have run this in her behalf. Glad to see someone put a post like this together.